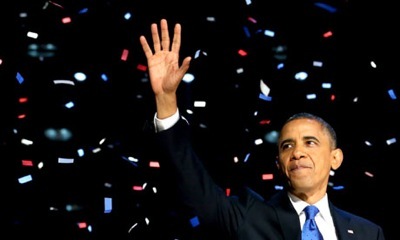 Barack Obama’s re-election has prompted a lot of shock among American conservatives, convinced they were about to get their man back in the White House. In some of the rancorous fallout, Mitt Romney’s ground game software, Project Orca, has come in for some serious criticism – this Ars Technica piece details how poorly it performed. But for anyone who has read Sasha Issenberg’s terrific look at the growing field of microtargeting and data-driven politics, it’s really no surprise that Obama had a massive advantage in getting out his vote, and that Romney failed to make up the difference in just a few months. Here’s an interview I did with Issenberg from a month ago where he reveals how Obama’s team has changed the science of winning elections forever. The US presidential election is the world’s most keenly followed political soap opera, and this year’s bout is proving no exception. But beneath the surface of this seemingly conventional campaign a revolution is occurring, shaping the contours of the race in ways that are barely perceptible to outsiders but which is likely to change the nature of electioneering forever. On both sides of the aisle, armies of statisticians and number crunchers are transforming the art of campaigning into a science. Huge amounts of data is being processed and a wide array of experiments are being undertaken, all with the aim of bringing empirical rigour to a field that has long relied on hunches and intuition. Disciplines as diverse as behavioural psychology, econometrics and data analytics are being combined to more accurately target and influence potential voters. Welcome to the era of data-driven politics. US journalist Sasha Issenberg has detailed this largely unheralded upheaval in his fascinating new book, The Victory Lab. It is rather snappily being described as Moneyball for politics, and it does share some characteristics with Michael Lewis’s celebrated look at how statistical analysis transformed baseball. However, instead of analysing baseball players, the statisticians and social scientists that Issenberg profiles are analysing both the electorate and electioneering itself, with potentially dramatic results. That external expertise naturally took a fresh approach to the traditional problems that every campaign faces. In terms of the fabled “ground game”, the two big issues facing US political campaigns has long been determining who to target, and how. Identifying those voters who can be persuaded to vote for your candidate, and identifying those who are definitely going with your rival, means you can be much more efficient in targeting mail-outs, email blasts and canvassing efforts. And determining what issues in particular will resonate with any given voter can allow you to refine your message to a remarkable degree – an Obama for America fundraising email from last May came in 11 different varieties, each tailored for the individual recipient. How did they decide which voters would receive which mailout? This is where so-called microtargeting comes in – there is a vast and growing industry in the US that collects data on citizens, culling information from public records, such as voter registration records and gun licence applications, as well as private databases owned by direct mail marketers, magazine publishers, “loyalty-card” operating retail giants and the financial industry, which assiduously tracks credit scores. (This is not to mention the goldmine that is Facebook, which will undoubtedly play an increasingly prominent role in the data-harvesting trade in years to come.) Collating and analysing this data, campaigns can search for patterns and correlations, allowing skilled analysts to extrapolate a frighteningly accurate picture of any given voter’s values, priorities, even their likely level of political engagement. The result is the ability to identify the interests of individual voters and tailor campaign messaging specifically for each one of them. The effect was largely invisible to those of us following the race between Obama and John McCain, but it was nonetheless tangible. “I quote Ken Strasma, who was Obama’s top microtargeting consultant in 2008, and he said ‘We knew who people were going to vote for before they did,’” says Issenberg. That’s an unimaginably powerful tool for a political campaign. But the new approach doesn’t end there – the 11 different email variations sent last May were not just tailored for each voter, they were also most likely contributing to an ongoing experiment testing the efficacy of various topics and phrases. After all, what good is it to identify likely or possible voters if you can’t also identify the most effective means of persuading voters, encouraging participation and donations, and boosting turnout among your likely supporters. To this end, an entire body of research has sprung up to rigorously test and measure the efficacy of different approaches, from robocalls to TV ads to knocking on doors. For instance, it has been demonstrated that a letter thanking someone for voting in the past can boost turnout by more than 2 percentage points; and a knock on the door from a canvasser is far more effective than a call from a phone volunteer. “When put together the campaigns have far better tools for sorting through the electorate, and knowing whom they should engage and when, and because of experiments, have much better confidence that they know how to engage them in ways that will actually impact their behaviour,” says Issenberg. How likely is it that these tools and techniques will be applied here? We have much stricter information privacy rules in Europe, preventing much of the data collation that microtargeting relies on. But as one senior Irish political organiser put it to me, we already have a highly accurate and granular understanding of the electorate in this country, and it comes from the tallies from every ballot box in every election – combined with the electoral register and the record of who has voted, these tallies give an invaluable map of the electorate’s voting habits, one that every party in the democratic world “would kill to have”, as the organiser put it. Furthermore, the nature of proportional representation means that Irish parties have to appeal to a much broader spectrum of the electorate in order to attain enough preferences, which renders a lot of the advantages of microtargeting redundant. It remains to be seen if Obama’s lead in data-driven campaigning will make the difference on November 6th, but his role in transforming the fundamental approach to running an election campaign might end up being his most surprising legacy.